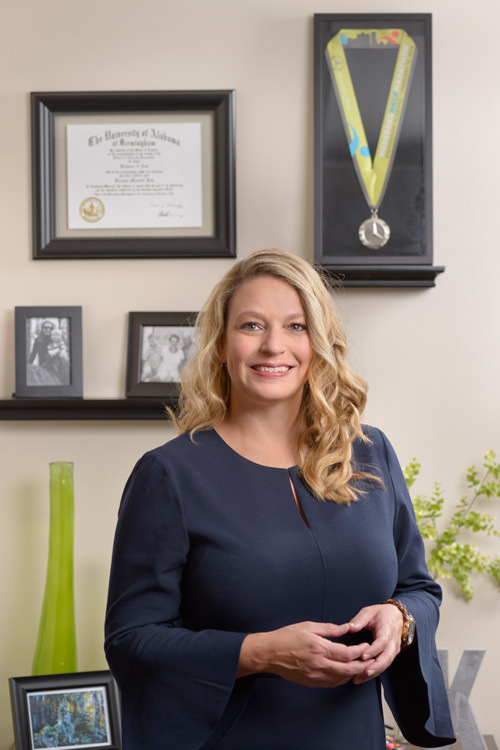 Keri Fish is our Chief Operating Officer at Fi Plan Partners, and her main goal is to ensure our clients receive our “five star service” on all levels. With Keri’s financial brokerage industry experience, including marketing, compliance, and operations, she is a vital part of the Fi Plan Partners team. Working with the wealth management and financial planning teams, Keri coordinates account documentation, investment proposals, and incoming investment accounts. She also ensures that our financial advisors maintain all continuing education requirements and insurance licensing. Keri Fish graduated from The University of Alabama at Birmingham with a Bachelor of Arts in Communication Studies with a concentration in Communication Management and a minor in Sociology. While at UAB, she was a member of, and served as Publicity Officer for The University of Alabama at Birmingham chapter of Public Relations Council of Alabama (PRCA). Keri was also a member of the Public Relations Student Society of America (PRSSA). Outside of the office, Keri enjoys music, traveling, and attending sporting events. She is also a runner and has completed the Mercedes Half-Marathon. In addition, she is a skilled photographer formerly specializing in weddings but now volunteers with the Greater Birmingham Humane Society photographing animals available for adoption.